This preliminary ruling had been requested by the High Court of England in proceedings between Teva, Accord Healthcare, Lupin and Mylan, versus Gilead, concerning the validity of an SPC granted to Gilead for a pharmaceutical product containing tenofovir disoproxil (TD) and emtricitabine (FTC), brand name Truvada, recommended for the treatment and prevention of HIV. The Court’s ruling makes clear that SPCs must be granted in such a way that is consistent with public health interests, and that they thus cannot merely be used for extending medicine patent protection. SPCs are a type of patent extension which can be granted to compensate patent holders for the period of a patent term that is “lost” during the lengthy regulatory processes of medicines approval, and thus, to provide “adequate effective protection”, according to the Regulation. The CJEU ruling clarified the definition of ‘basic patent’, especially with regards to combination products, such as Truvada. Such definition is critical for the granting of SPCs, since Article 3(a) of the Regulation stipulates that “A certificate shall be granted if… the product is protected by a basic patent in force”. The UK patent office granted Gilead the SPC for TD/FTC based on patent EP0915894, which extended the patent until 23rd February 2020 – two and half years after the original expiry date of the patent which was 24th July 2018. Generic manufacturers challenged this decision, arguing that while TD is specifically claimed in the ‘basic patent’, FTC is not, since the patent claims a pharmaceutical composition comprising tenofovir “and optionally other therapeutic ingredients”. The Court clarifies that the basic patent must “relate necessarily and specifically” to each of the active ingredients of the combination, which must be “specifically identifiable … in light of all the information disclosed by that patent”. Further, the Court notes that that EMA did not approve emtricitabine until 2003 and there is no evidence that at the date of the basic patent at issue, emtricitabine was an effective agent known for the treatment of HIV in humans. In other words, the Court points to the risks of SPCs being used to “evergreen” patent protection, in contradiction with the text and spirit of the Resolution to take all interests at stake. And it specifically highlights the public health interests. As illustrated by the Truvada case, pharmaceutical companies have several tools at their disposal to extend market exclusivity for as long as possible. The Court interprets EU law to make sure it is applied in the same way in all EU countries. Therefore, national courts will have to take into account the CJEU interpretation in the Teva vs Gilead case and in similar proceedings. 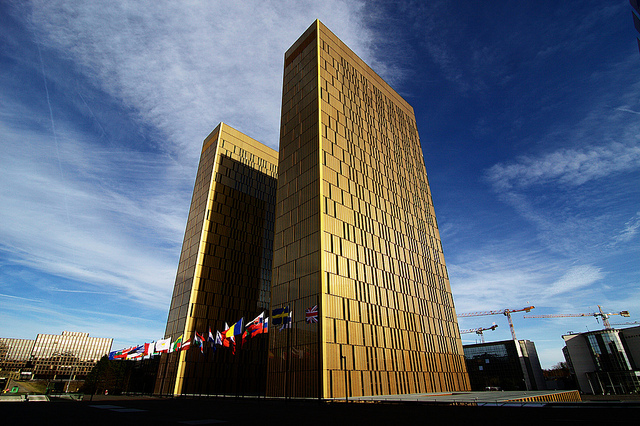 On 18 September 2018, the UK High Court of Justice followed the CJEU and concluded that the SPC must be revoked because it does not comply with Article 3(a). The CJEU judgement should pave the way for the rejection of most other SPCs on Truvada in the EU should those SPCs be challenged. While the SPC for TD/FTC based on patent EP0915894 was refused by patent offices or revoked in judicial proceedings in some countries (eg. Austria, France, Germany, Greece, Sweden, the Netherlands), we understand an SPC remains active at least in Belgium, Ireland and Switzerland. In Switzerland, one box of 30 tablets of Truvada costs 900 CHF (Euro 800,–) compared to Euro 176,– in France. In the Netherlands, where the SPC was never granted, the lowest price for 30 tablets/capsules of generic TD/FTC is Euro 29,91.